The British Library Newspaper Archive is a massive and absolutely fascinating resource and thanks must go them for their permission in allowing these images to be reproduced (www.britishnewspaperarchive.co.uk). 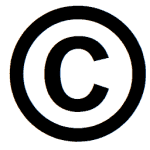 Please also note that in copyright images belong to Northcliffe Media Limited and out of copyright images belong to The British Library. – the same article repeated in other newspapers. articles that we’ve missed (hopefully few) altogether.